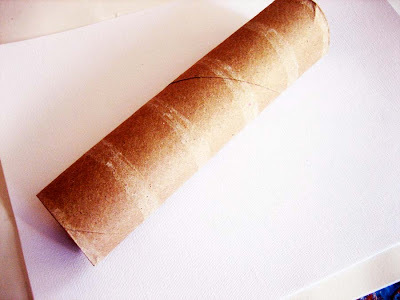 I have a confession to make...I think that toilet paper and paper towel rolls just be be the greatest things to create and craft with! 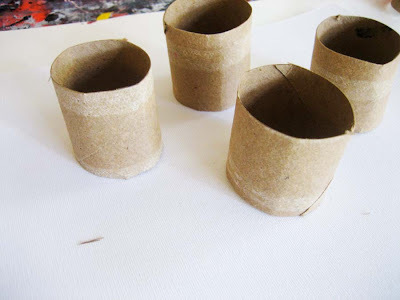 I have always loved them, in fact, even as a kid I created all kinds of fabulous things from cardboard rolls (I will share that with you later this month!) 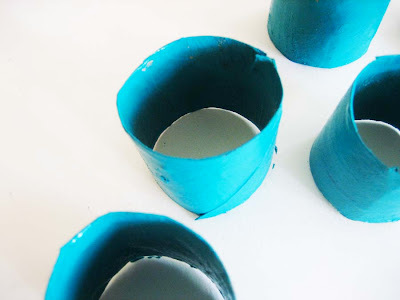 So for today's tutorial I decided to transform a paper towel roll into colorful napkin rings. It is that time of year when we all start having more people over and entertaining. As always I am looking for ways to go cheap and creative....I love finding a way to make something that would typically be purchased- Especially when it comes to decorating and entertaining! 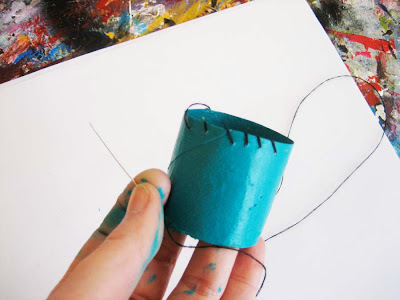 Once the outside is dry paint the inside- again with a thick layers of paint. Set aside to dry. 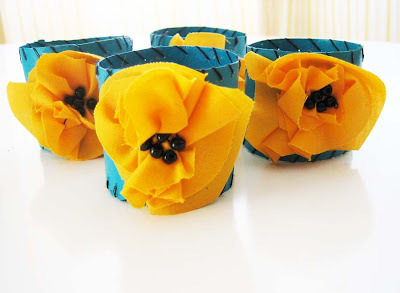 The next step is to create little flowers from colorful fabric. 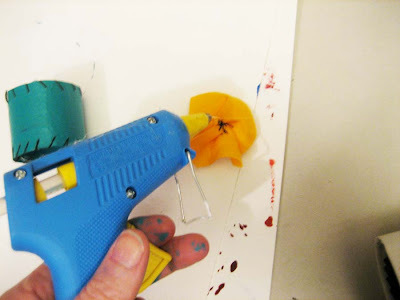 Start by cutting out a variety of circles in different shapes. 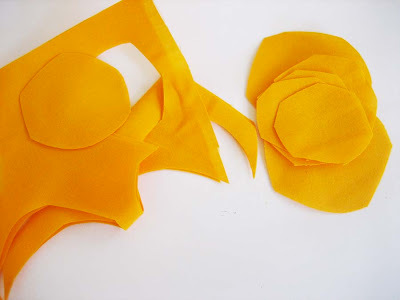 Use a needle and thread and gather the fabric around the needle creating a messy ruffle. 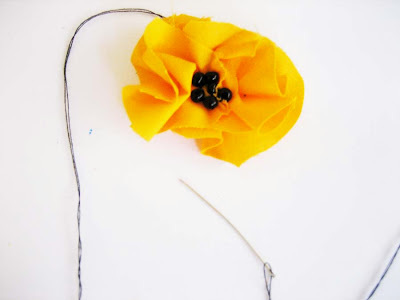 Add a handful of small black beads to the center of the ruffle. 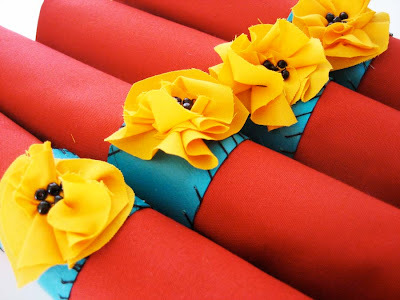 You could also use buttons or even a contrasting color of fabric to the middle. 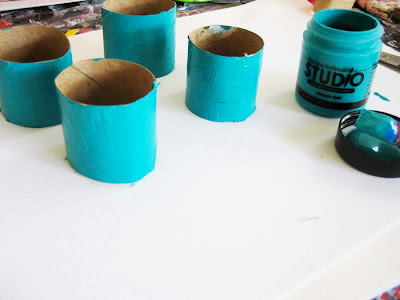 Take your painted rolls (at this point they should be completely dry and be much more durable) Sew simple stitches along the top and bottom of the rolls. I kept the stitches simple but your really could have fun with using colorful thread and even more decorative embroidery!! 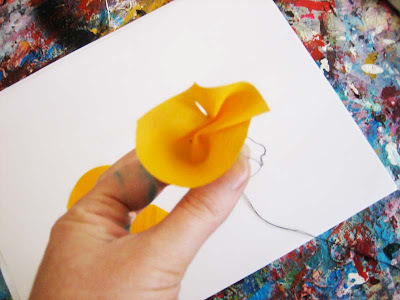 Glue the flowers to the surface of the rolls with either hot glue or craft glue. 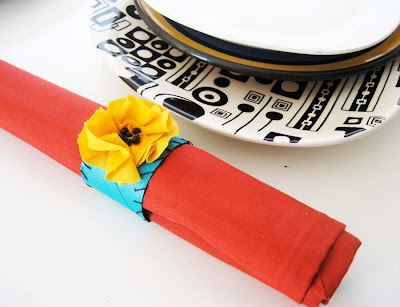 And there you have it...simple, cheap and super cute napkin rings for holiday entertaining!! Those are just darling.. And the flower tutorial is the cutest thing.. I am trying some this week. BEAUTIFUL! And your color combination is just gorgeous. Thanks so much, I'll be linking. 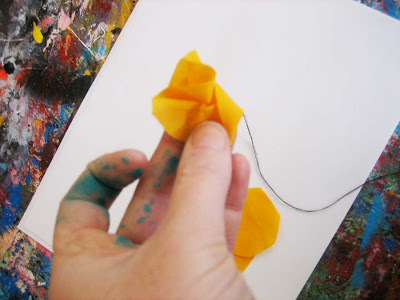 I just came across this idea the other on anther blog, but it wasn't as fun and colorful as yours. 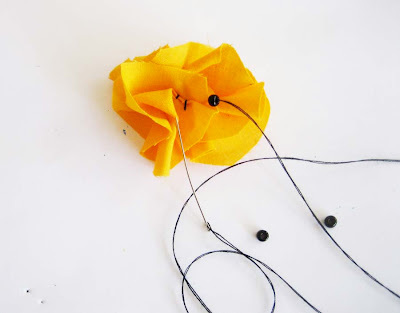 I love the idea of repurposing something we would of normally thrown out! Love, love love it!